WILMINGTON — A local man had the remainder of a 24-month prison term reimposed when he signed himself out of the STAR program, the completion of which was a central part of his community control sanctions. Joseph W. West, 34, of Wilmington, had originally received the 24-month sentence after he did not notify the sheriff of a change in his residence address during early 2017, according to court papers. He was required to inform local law enforcement of his move because the judicial system classified him as a sexually oriented offender after he was found guilty in 2007 on five counts of unlawful sexual conduct with a minor (receiving a five-year prison sentence). As part of the plea settlement in the case where he failed to register his change of address, prosecution indicated it would not oppose an early release from prison into the STAR residential program once 15 months of the prison sentence was served and given a positive prison record. 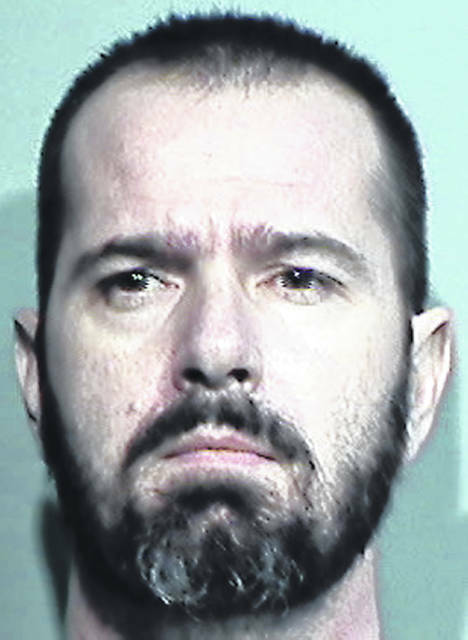 In September 2018, sitting Judge William B. McCracken granted the defendant release from prison. The community control sanctions put into place at the judicial early-release hearing included completing the STAR Community Justice Center program. After entering the STAR program in late October 2018, the defendant signed papers to leave the facility in mid-January 2019. There were mitigating circumstances presented attempting to explain West’s decision to voluntarily be discharged from STAR, a court paper stated. 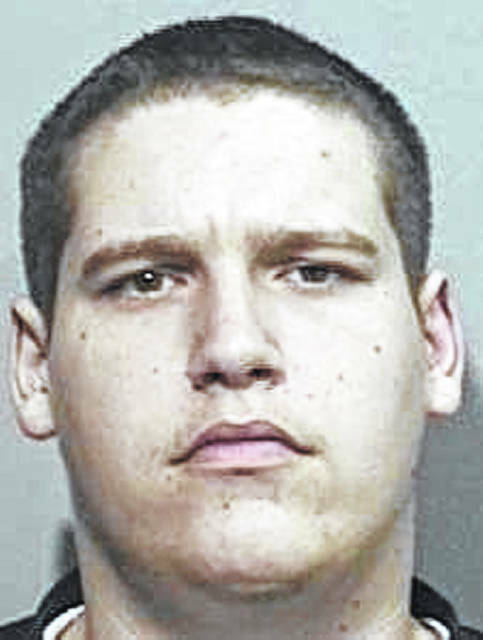 “Apparently, defendant was doing quite well at the [STAR] program and had made some progress in rehabilitation,” wrote Clinton County Common Pleas Judge John W. “Tim” Rudduck in paperwork from the Jan. 17 court hearing where the prison term was re-imposed. But Rudduck stated he agreed with Assistant Prosecutor Katie Wilkin that prison is necessary “for this significant and major violation of community control,” with the judge adding West had proven himself not amenable to local community control. Credit was granted for 654 days the defendant had already served in custody. In an unrelated case, Kristopher A. Lloyd, 40, of Wilmington, was in common pleas court and received his first felony conviction. It was his sixth DUI within 20 years, making the offense a felony. Because he refused to submit to a breathalyzer test, there is a mandatory 120 days of incarceration as enacted by the Ohio Legislature, according to a court paper. Rudduck gave the defendant a six-month jail term, with credit for four days already served. The jail term was expected to be suspended to allow Lloyd to attend the STAR Community Justice Center. The judge directed that the defendant spend at least 119 days as a resident at STAR to comply with the Ohio law. His ability to operate a motor vehicle is suspended for five years in a Class 2 suspension. No driving privileges can be granted during the first three years. Rudduck also fined the defendant $1,350, noting Lloyd is a young man capable of employment who had sufficient funds to post a surety bond. Law enforcement didn’t have to go far to find this latest DUI: On Dec. 9, 2017 Lloyd drove an SUV through the lawn at the sheriff’s office on Davids Drive and then stopped in the restricted driveway next to the sally-port of the facility. Lloyd was found to be unconscious in the vehicle, his foot on the brake pedal with the vehicle still running and in drive. The defendant refused to submit to field sobriety tests or a breathalyzer test. The five prior DUIs landed him at these courts in the region: Fairborn Municipal, Kettering Municipal, Montgomery County East Division, and twice in Xenia Municipal. In sentencing the defendant, Rudduck stated he took into consideration that the defendant is an honorably discharged veteran. On the other hand, the judge also stated a prison term is arguably appropriate in the case. Rudduck advised Lloyd that his behavior will be strictly monitored by court personnel upon his release from custody. He received a two-year term of community controls. The judge also encouraged the defendant to explore medicated assisted treatment involving Vivitrol. When used as part of a treatment plan that includes counseling, Vivitrol can help a person reduce heavy-drinking days, according to the prescription medication’s official website concerning alcohol dependence. Vivitrol is manufactured at Alkermes in Wilmington. • Ashley M. Maynard, 23, of Wilmington, convicted of endangering children, was placed on community control sanctions for a two-year term. She received a suspended six-month jail term, with credit granted for three days in jail. The court’s Supervision Department will monitor the defendant through its “enhanced basic supervision module [plan],” a court paper states. She was ordered to comply with all programming the Supervision Department regards warranted, and to also comply with all directives of Clinton County Children’s Services. The case was her first felony offense, but if she violates community control and the local sanctions are revoked, she faces a possible prison term of 17 months, according to a court paper. • Trevor A. May, 32, of Blanchester, convicted of possessing heroin, was placed on community controls for two years. He has been admitted to the You-Turn Recovery Court [local drug court] program, which lasts a minimum of 18 months and which he needs to complete. The defendant was given a suspended six-month jail term, with credit granted for 22 days served in jail. He was put on electronic house arrest.